Do you know the process after an arrest has been made? Understanding the booking and bail process will make the situation easier if you find yourself in jail or get a call from a loved one who has been arrested. After someone has been arrested and brought to jail, they’ll go through the booking process in order to collect the arrestee’s personal information, mugshot, and fingerprints. The arrestee will be allowed to make a phone call in order to contact a family member or anyone else they choose. A judge will determine whether the person is eligible to be released on bail or, if the person is considered a flight risk or a danger to the public, must remain in jail until their trial. The amount of bail will be decided by the judge, or in some cases a bail schedule will be used to determine the bail amount based on the crime committed. Once bail is set, it is up to the arrestee whether they will stay in jail until their court date, pay the bail amount in full to be released, or contact a bail bondsman if they cannot afford the full amount and want to be released as soon as possible. 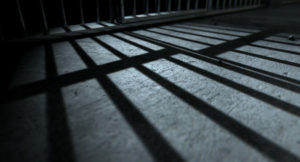 A bail bondsman will pay the full amount of bail while charging the arrestee a small percentage of the total as a fee. If you need assistance with bail in Austin, TX, contact the bail bondsmen at ATX Bail Bonds today at 512-834-2245 . We are available 24/7 to take calls and get your or a loved one released from jail as quickly as possible.